Soons Sushi Cafe is a family owned and operated casual dining restaurant serving the freshest and best Sushi, Korean and Japanese food in Southeastern Wisconsin. At Soons Sushi Café, our goal is to provide the best quality possible at reasonable prices in a casual and friendly dining atmosphere. We believe that you shouldn’t have to break the bank to enjoy fresh and delicious food that is also good for you and your family. Our customers visit us time and time and again for the value we offer and have made Soons Sushi Café a local Japanese eatery of choice through word of mouth. We would like to invite you to explore our extensive menu of traditional as well as creative fusion dishes that are sure to please kids, non-fish eaters and sushi veterans alike. Coming to Soons is like coming home to family - Its a very casual and relaxed environment and the owner "Soon" is always there to greet you with a warm smile, an occasional story and the freshest of sushi to cure all of your cravings. 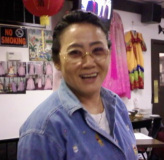 The owner "Soon" is a native of Korea where she owned her own restaurant for the past 17 years, ever since she came to America she had to share her love of the Korean culture and food with others. The food Soon crafts can be described as nothing less than exotic and tantalizing. Soons love of authentic Korean and Japanese foods can be seen in every dish, and tasted in every bite. 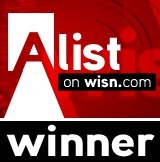 Best Sushi - S/E Wisconsin ! !